The next SNF PEPPER (version Q4FY15) release of the Skilled Nursing Facility (SNF) Program for Evaluating Payment Patterns Electronic Report (PEPPER) with statistics through September 2015 is now available. 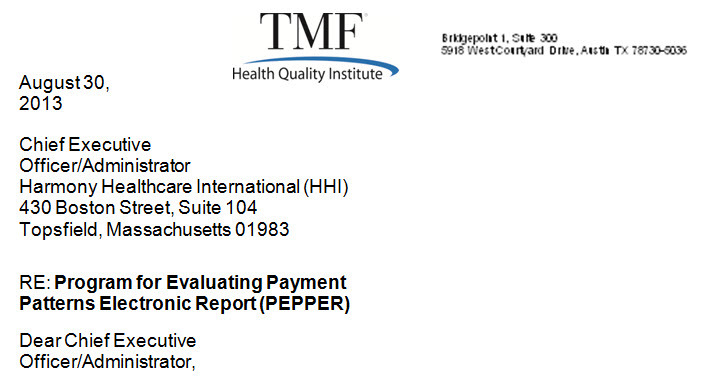 TMF Health Quality Institute is under contract with the Centers for Medicare & Medicaid Services to provide comparative data reports, including the PEPPER, to providers and to Medicare Administrative Contractors in support of the efforts to reduce Medicare fee-for-service improper payments. PEPPER is an educational tool that summarizes provider-specific data statistics for Medicare services that may be at risk for improper payments. Providers can use the data to support internal auditing and monitoring activities. TMF Health Quality Institute announced that effective January 1, 2014 they will no longer resend copies of SNF PEPPERs (version Q4FY12) which were initially mailed to all Skilled Nursing Facilities on August 30, 2013. Skilled Nursing Facilities: Where Is My PEPPER? CMS introduced a new annual report for Skilled Nursing Facilities called a “Program for Evaluating Payment Patterns Electronic Report” (PEPPER). PEPPER data is shared with both Medicare Administrative Contractors (MACs) and the Medicare Recovery Auditor Contractors (RACs), to be distributed annually to Skilled Nursing Facilities every April. This important report details your specific Medicare claims data in certain targeted areas and compares your facility to other SNFs Nationally, by State and by Jurisdiction (Medicare Administrative Contractors/Fiscal Intermediaries). Facilities received their lengthy PEPPER at the end of August. 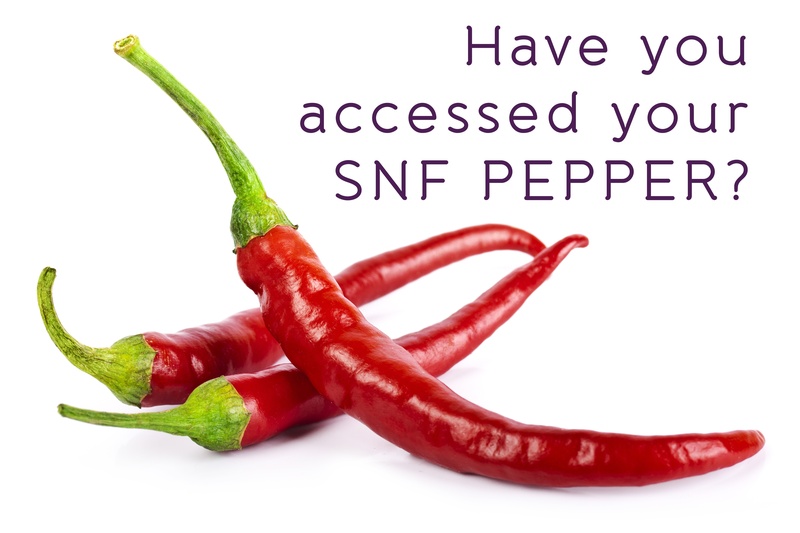 Skilled Nursing Facilities (SNFs) should check the mailbox on and around August 30, 2013 for an envelope with red print on the outside containing your facility specific PEPPER. What is PEPPER? CMS has announced that they will be mailing all SNFs a “Program for Evaluating Payment Patterns Electronic Report” (PEPPER). This report will detail Medicare claims data in certain targeted areas and compare your facility to other SNFs nationally.